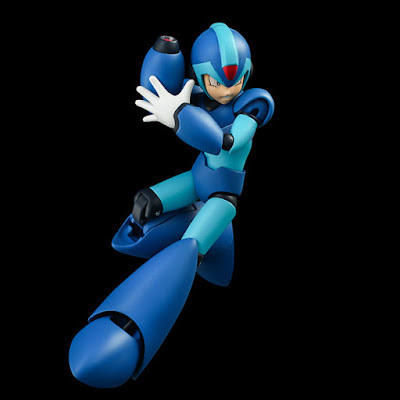 Due to manufacturing issues, Sentinel's 4Inch-Nel Mega Man X figure had to be delayed from February to March. Today, however, a new release date has been set: Saturday, March 25th. That date is a guarantee for folks who ordered the figure and live in Japan. For everyone else, your orders should ship out soon after. Sentinel did not discuss which components caused the delay - the magnetic feet are highly suspect, though - but that's all in the past and collectors can now look forward to a shiny new toy coming very soon. "can look forward to a shiny new toy"? More like expect to be disappointed as X will be inaccurate to its scale as he might be the same height of Megaman and EXE. Still a cool figure none the less without any doubt, but it'll be inaccurate to its scale. sentinel have made a exe figure? Just to be pedantic, how do you define a virtual being's height in any case? Only points of reference I can think of are some anniversary drawings with all blue bombers present. Though then again, artists tend to see Lan and Mega Man as same height, and I suppose you could find Lan's height from some booklet somewhere. In any case though, I am indeed looking forward to putting this shiny new toy alongside my EXE and Original blue bomber figurines. Well you can think of it as megaman's hologram in the anime's Beast season where the PET's had this function to have a midget-sized hologram of the navis that go on the operator's shoulder. There's also the hologram bots or whatever they were called in BN6, so at that point it really only depends on the available technology. He will be the same height of Lan/Netto. That much is certain. And yes, Sentinel did make an EXE figure. A few variants of it too. Second Anon: I'm pretty sure there's official material stating at least X's height versus Rock's. There's likely profile images of them as well. It's just always been seen as X being taller, and Zero a little taller than X. Mainly because X is seen as a more teenage/adult embodiment of the Blue Bomber whereas Classic is more pre-teen/adolescent. Story elements explain EXE and Lan's height similarities. @AnonymousMarch 22, 2017 at 8:31 AM - Dude, theres no defining as its a fact that X is taller than Classic Megaman. 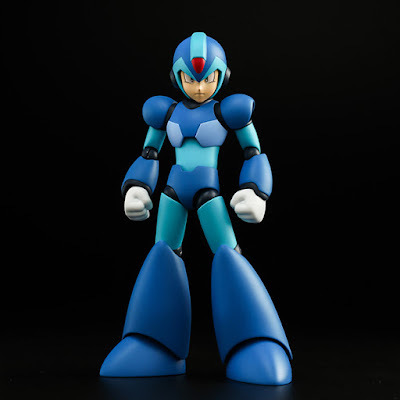 Through out the history of the Megaman franchise its been known that X is much taller than Classic Megaman. I get its the theme of the line, being 4 inch figures, but that just makes them inaccurate in scale over all, with X being a sour thumb of them all in the line. X is 1,60 m tall ( i think it make 5 feet and a few inch, for those not familiar with the metric system), 1,65 m in the maverick hunter X canon. Megaman Classic is 1,32 m (aproximatively 4 feet,5 inch). Anyone know a trustworthy website besides amiami where i can pre order this? Everywhere I've checked online has this as out of stock or order stop. I hope I can actually order one.